NYC Immigration Lawyers, Naturalization, Green Cards, Deportation Defense, Brooklyn, New York - How Do I Replace My Certificate of Citizenship or Naturalization? 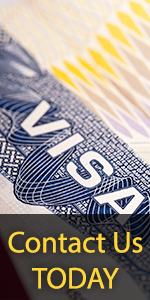 » How Do I Replace My Certificate of Citizenship or Naturalization? How Do I Replace My Certificate of Citizenship or Naturalization? What is a Certificate of Citizenship? It is a document issued by U.S. Citizenship and Immigration Service (USCIS) as proof of a person having obtained U.S. citizenship through derivation or acquisition at birth (when born outside of the United States). For example, your U.S. citizen parents were living in England when you were born. Or, your parent(s) became naturalized when you were under 18 years of age and met the special conditions of the law. Section 341 of the Immigration and Nationality Act provides that, "A person who claims to have derived United States citizenship through … [various provisions of the INA] may apply … for a certificate of citizenship." Section 338 of the Immigration and Nationality Act provides that, "A person admitted to citizenship in conformity with the provisions of this title [Title III] shall be entitled upon such admission to receive … a certificate of naturalization … ." Section 343 of the Immigration and Nationality Act provides that, "If any certificate of naturalization or citizenship issued to any citizen … is lost, mutilated, or destroyed, the citizen … may make application … for a new certificate … ." Who Should Apply for a Replacement Certificate? You should apply for a replacement certificate if your current certificate is lost, mutilated, or destroyed. You may also apply for a new certificate if subsequent to issuance of your current certificate, your name has been legally changed either through court order or marriage or divorce. How Do I Apply to Replace My Certificate? If you are outside the United States you must submit your application to a USCIS office in the United States and be willing to return to the U.S. to pick up the certificate. To check the status of your application, please contact the USCIS office that receipted your application. You should be prepared to provide USCIS staff with specific information about your application, such as your Alien Registration Number, name, and date of birth. Please see instructions on checking the status of your application. More information on USCIS offices is available on our Field Offices home page. It is not possible to check the status of an application filed at a local USCIS office on-line at this time. However, you can check the status of cases filed at Service Centers. If your application is denied, you will receive a letter that will tell you why the application was denied and advising you of how to appeal under the rules in 8 CFR 103.